There are so many cute blazers in stores right now. I was on the hunt for a couple for some business meetings, and am now loving wearing them out and about with jeans and heels. 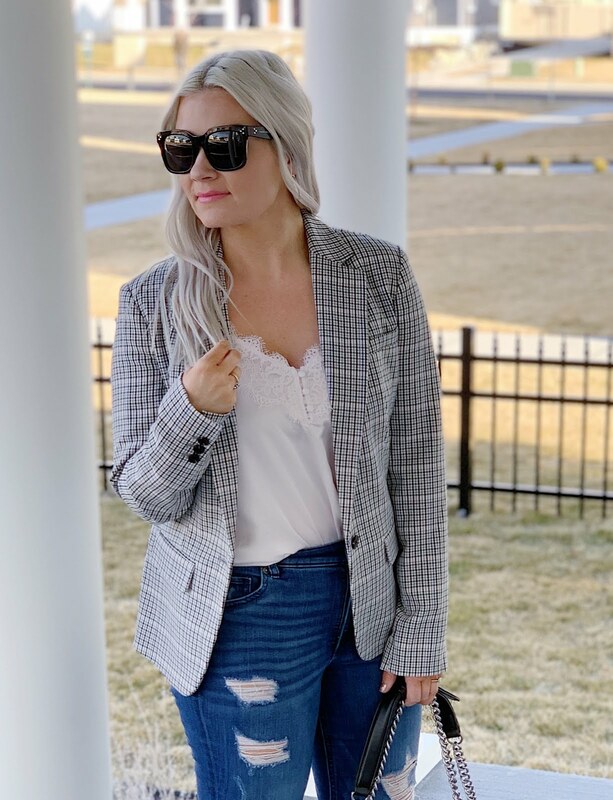 I'm a big fan of the plaid, and would like to snag a cute striped blazer next. The neutral stripes are perfect for Spring and Summer and will go with so many outfits. 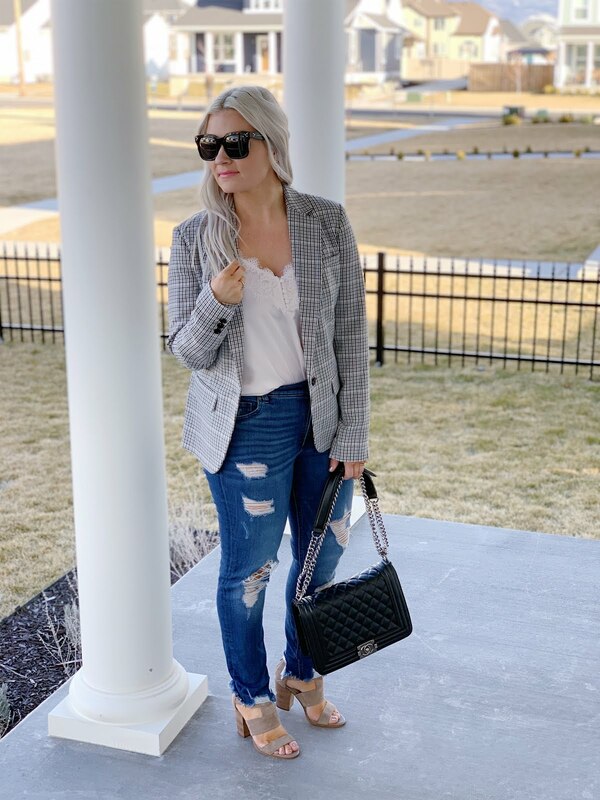 If you're headed to the office or just running errands, a blazer is such an easy detail to throw on for a polished look. What a great blazer! It realyl goes well with a lot of different bottoms too. I like versatile clothing! Thank you! I love a good blazer. So easy to dress up or down. Super cute outfit. The blazer makes the outfit because it elevates it where it can be either a day or evening look. I love how versatile blazers are! You can dress them up or down and they really can just bring an outfit together! This one is super cute and looks like it would go great with just about anything! So sweet! Thanks so much!